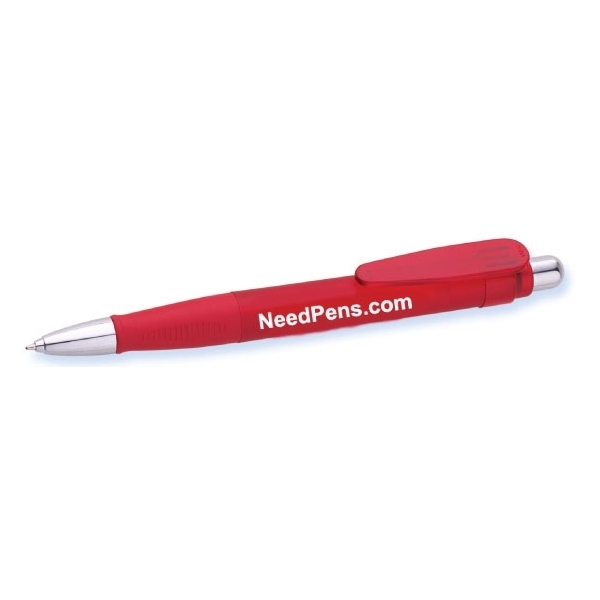 Need Pens - Personalized this Giant-Clicker-Pen with your Logo. This clicker pen is designed with colorful swirling lines that move like waves along the length of the clear barrel. 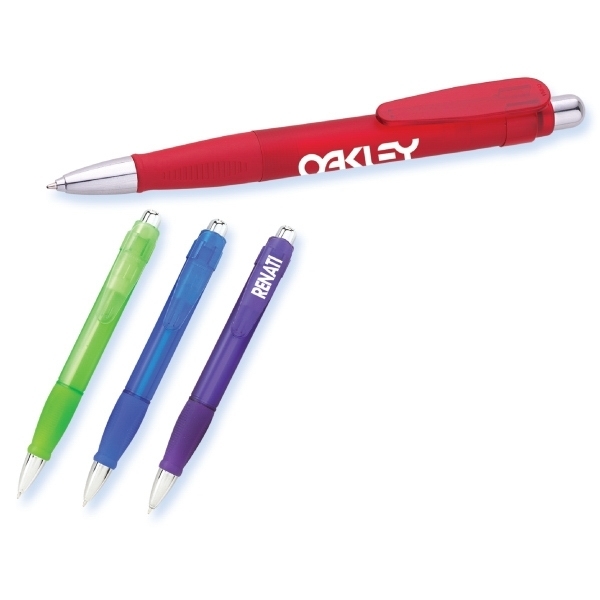 Its bright colors and attractive metal accents make it an eye-catching promotion suitable for any event. Impress recipients with a gift that they can use every day! Writes with German black ink. 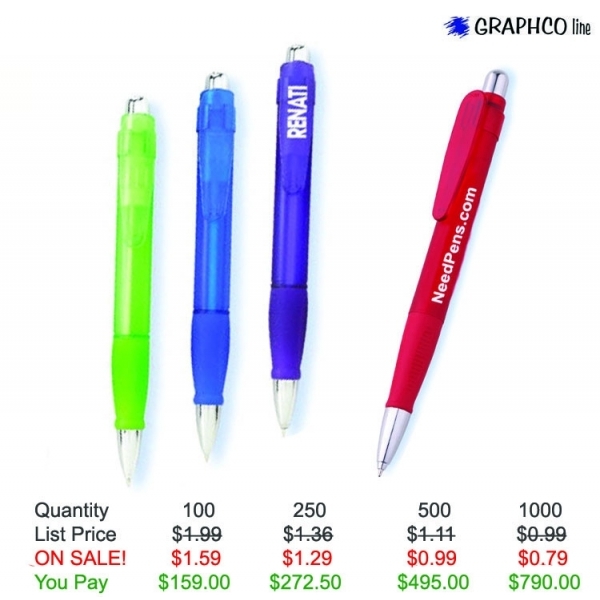 Product Features: One of the Biggest Clicker Pen made. Colorful Swirling Lines, Clear Barrel. Imprint Method: Printed - White imprint recommended. Shipping Weight: 12 lbs. per 200 - FREE Shipping! Rob, you and your staff have made such a difference for our company! Between the last product we ordered through you guys and these giant pens, the attention and draw to our company has been amazing va the handouts! I am truly impressed with your business and we will be connecting again in the near future! Thanks again!